Join us for Fleet 1’s first cruise of 2016! Please contact me as soon as possible if you’d like to be a part of this event. 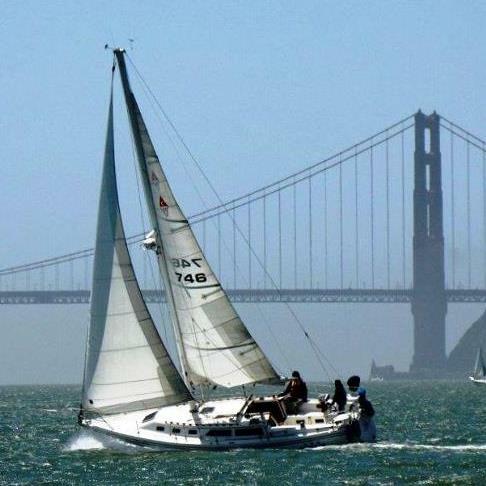 Weather permitting we’ll rendezvous just west of Alcatraz Island at 0900 on Friday, April 15th. The ebb tide is in our favor as we head out the gate in the morning. This will be a fun and exciting coastal cruise with lots of wildlife to see along the way. We’ll typically turn left at MSC#8 if the swell is favorable. It’s important to study the chart(s) closely before entering Half Moon Bay as you need to run between R#2 and R#3 to avoid grounding. Please monitor VHF Channel 72 for Fleet communications throughout the cruise, I can also be reached on my cell at 916 718 3789. Again, please contact me as soon as possible with boat name and crew size so I can reserve slips and secure Saturday dinner reservations.